Kia ora and welcome to the latest edition of the Heron Herald. 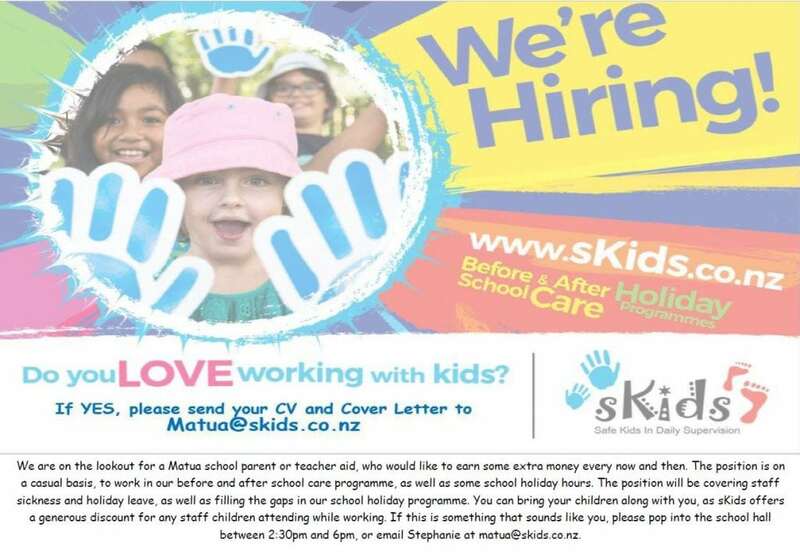 It has been an exciting few weeks at Matua School. The Arts have been a feature in lots of classrooms over the past few weeks, with many students already underway with different inquiries into various artists, musicians or dancers. Classes are already planning their installations ready to share at the Art Exhibition in week 7. We would love to see you there, please see details attached. Many Winter sports are well underway and we have numerous parents and staff giving up their time to coach and manage these team. Thank you to all who make these important opportunities a reality for our tamariki. Learner Conferences are coming up on 22 and 23 August and the booking system is open. Please ensure you have booked a conference time. We know effective partnerships promote and accelerate student achievement. 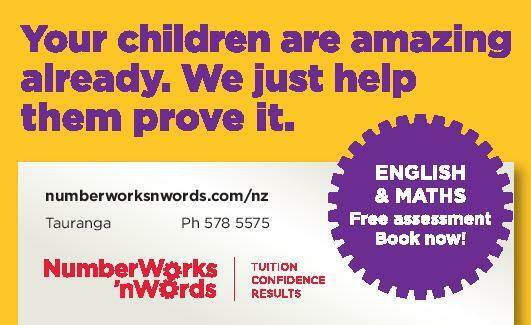 We look forward to discussing where your child is at and what their next learning steps will be. As we get into Term 3 some of our winter sports are wrapping up their seasons. Others like hockey and senior basketball still have a number of games left. 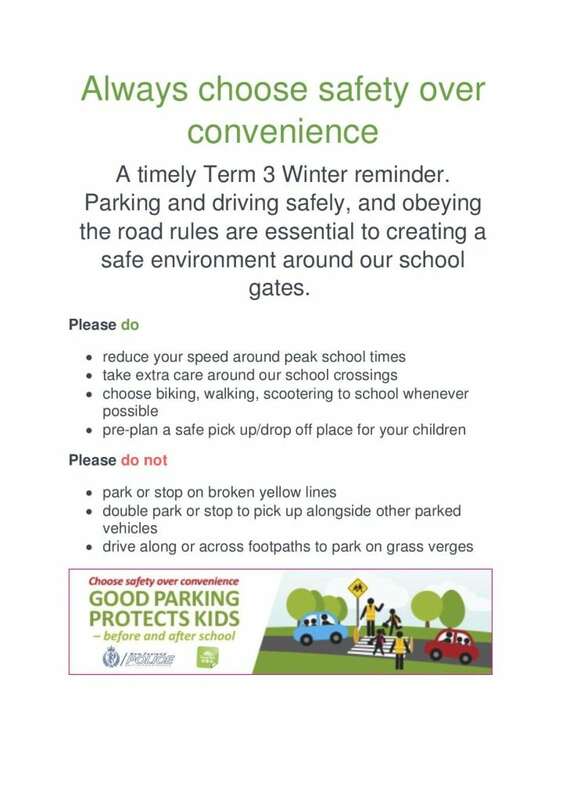 This is a timely reminder that once your child’s sport season has finished can they please return their sports uniforms as Term 4 summer sports will be starting again before you know it. There are also a small number of sports fees that are yet to be paid. Please, if you are someone who has not yet paid your child’s sport fee this is now well and truly overdue. Your child will not be able to register for a summer sport until outstanding fees have been paid. 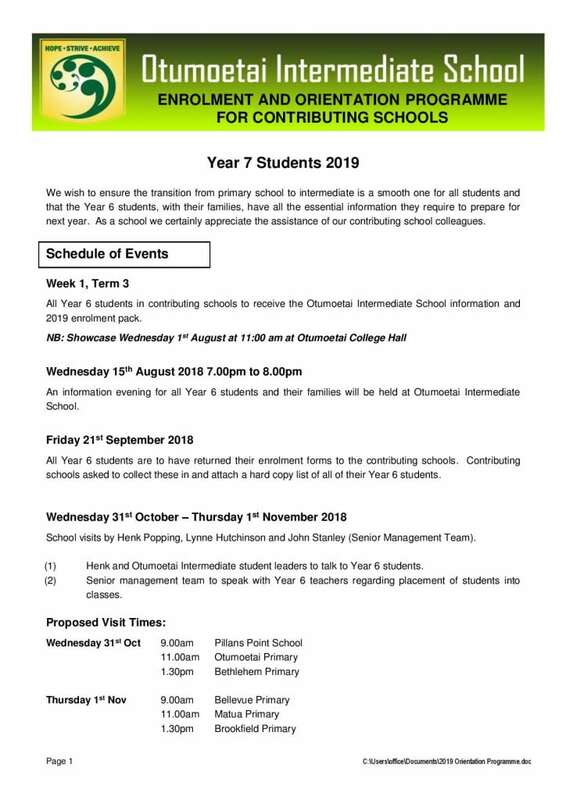 Term 3 is a busy term. This week we have our first tournament with the Rugby League 9’s team competing at Arataki Park. Next week our Rugby Sevens team will be competing over in Rotorua. In week 6 we will be taking our first ever ski team away to Mt Ruapehu to compete in the annual North Island Primary Ski Champs. On the Friday of week 6 our seniors will be competing in the annual East Cluster Winter Tournament. Term 4 sport registrations will be coming out very shortly. 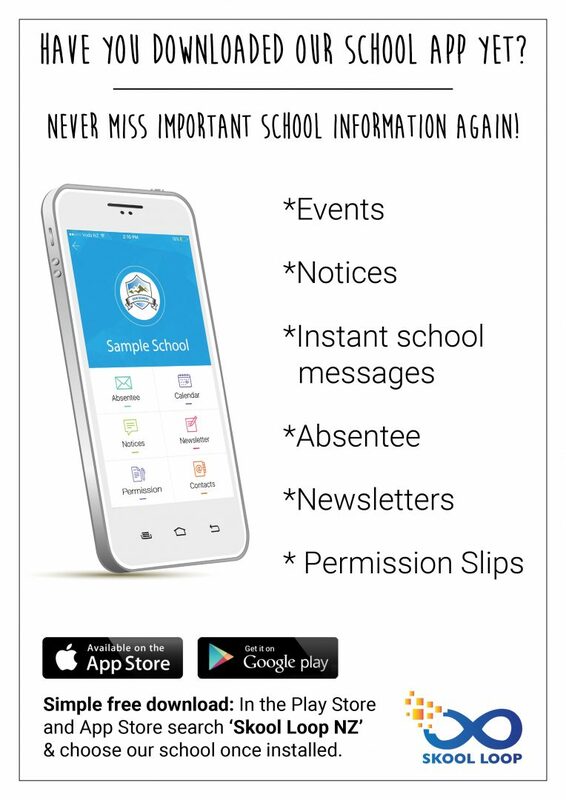 Please keep your eye out on our school facebook page and your emails to see when these will be available. Lots of exciting sports in store for our spring season. Thank you to everyone who has booked a table at the Quiz Night – they sold out super fast. For anyone who has not booked a table, there is a waiting list, in case of any cancellations. The PTA are still looking for local businesses to sponsor tables or donate products or services that we can use for prizes. 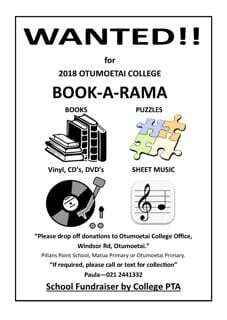 If you would like some more information, please email matuapta@gmail.com. 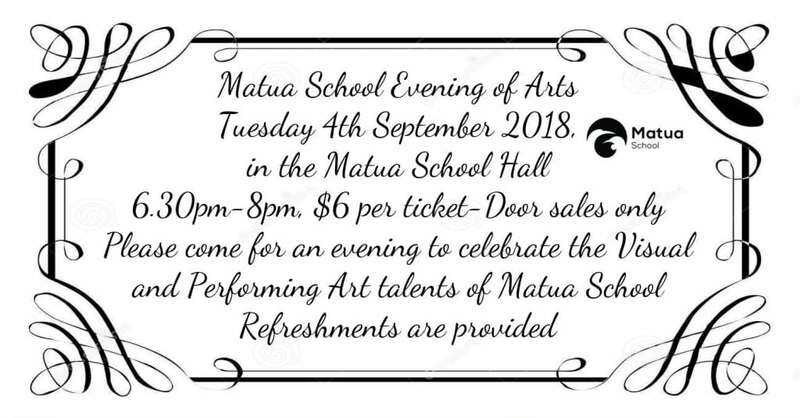 We look forward to a fantastic evening. The school Night Market is on the 8th of November. If yourself or anyone you know is interested in a being a stall holder, please email matuapta@gmail.com for more information. How great is the school recipe book looking! A letter came out today about the Cupcake Challenge next week. 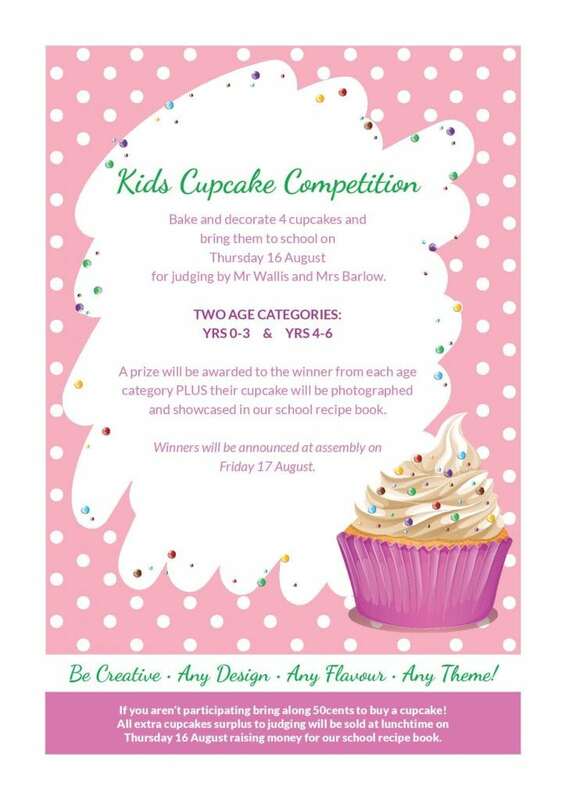 Be sure to get your kids to sign up, as the prize is a picture of their cupcake in the school cookbook. The PTA are also looking for sponsors for the cookbook. It is a great way to get your business name advertised inside the book. If you would like more information please email matuapta@gmail.com. The Second Hand Uniform Shop is short on uniforms. If you have any uniforms at home that your children no longer use, please drop them off to the school office. Remember all funds raised go back to the school. Nicola McDowell is undertaking a study of children and would like your help. 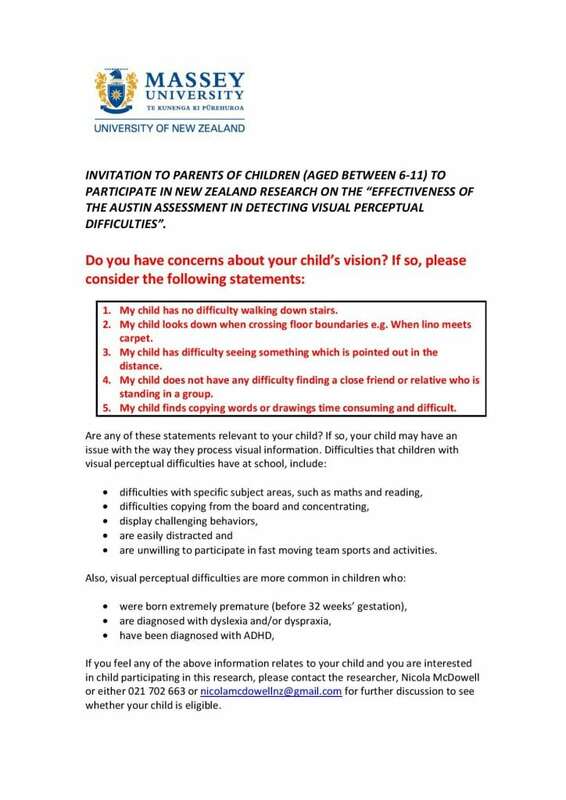 Please have a read of the flyer advertising for a control group for her research, looking at the effectiveness of a tool to detect visual perceptual difficulties in children. Thank you for supporting this research. 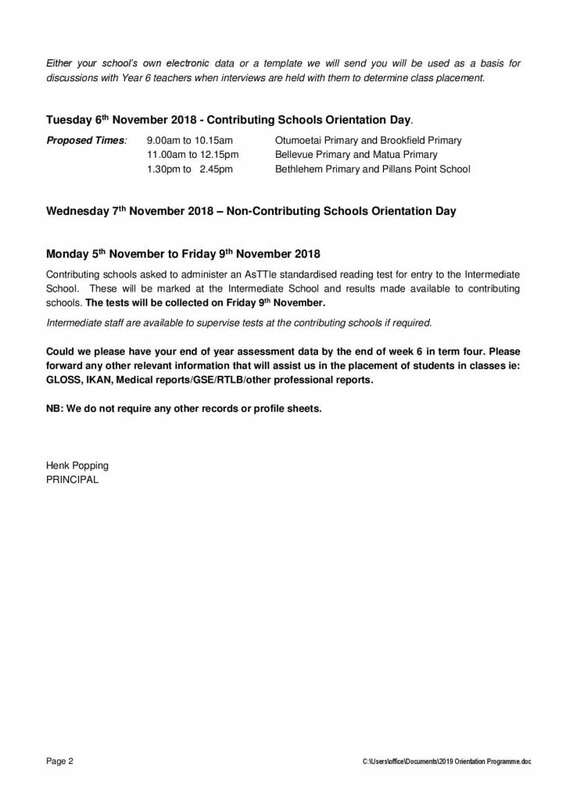 28th September – Last day of term. 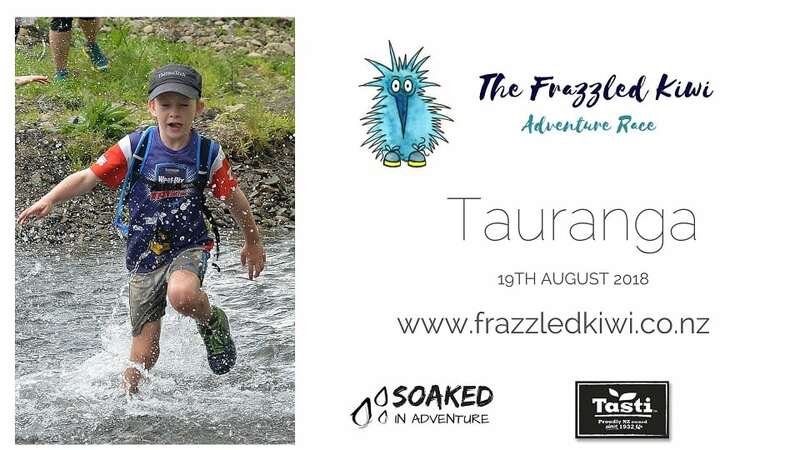 The Frazzled Kiwi is a 2 hour adventure race for families, school students and social adults. Make your way around farmland on foot, looking for check points and completing mystery activities. There will be mud and water and plenty of fun!!!!! This event is beginner friendly and a great day out with your family, friends or colleagues. Date: Sunday 19th August 2018. Location: Top Flat, McLaren Falls Park, Lower Kaimai, Tauranga. Cost: $25 per person. Online entries only (closes Thursday 16th August).